Do you have an account with State Bank of Hyderabad? Do you remain updated with the available balance in your account? How do you prefer to make balance inquiry of your SBH account? Visiting the bank and updating the passbook is one of the traditional methods. Visiting the ATM and using the Debit ATM card for balance enquiry is another method. But both the options require a dedicated time and your efforts of traveling. Are you looking for a simple method to get balance info instantly? SBH- State Bank of Hyderabad introduced missed call services to ensure convenience of its customers. Dial 09223766666 from your mobile number. Disconnect the call after 2-3 rings or the call will get disconnected automatically. Within few minutes, you will receive an SMS stating the available balance in your account. It is a toll-free number for which you need not pay any charges to get the balance updates. You can access the missed call service anytime and from anywhere. Before you dial the number from your mobile make sure the mobile is registered at the bank and linked to the account. Account holders with a registered mobile number can access the missed call services. There are multiple reasons for which every account holder must stay updated with the available account balance. You can check the account balance without visiting the ATM or bank branch with the missed call service. SBH missed call balance enquiry Toll-Free Number is a convenient option for the account holders. hi I have two accounts one of the sbh one of the sbi but balance enquire comes to the only sbi I can't receive sbh account bal details. register different number for SBH account. hi, I can't balance inquiry my sbh account. 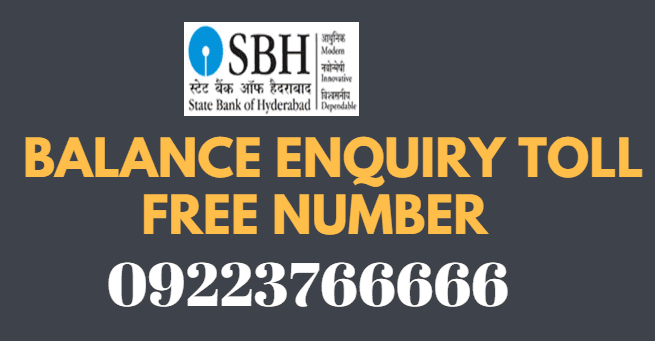 sbh account balance enquiry toll-free number is the same as for state bank India.